Never to be confused with Stratford-upon-Avon, the birthplace of William Shakespeare, London’s Stratford is a whole different kettle of fish. While we can’t claim Shakespeare as our own, we still have much to be proud of. Once an Essex settlement and then part of the County Borough of West Ham, we’re now a district of east London in the London Borough of Newham. 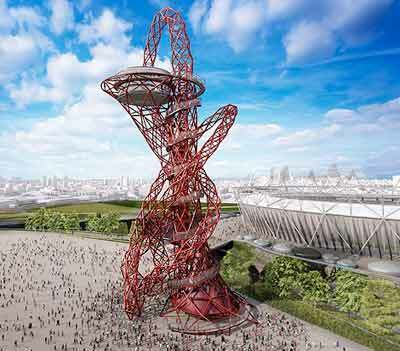 Millions saw some of Stratford’s landmark buildings when watching the London 2012 Olympic and Paralympic Games – from the Aquatic Centre, to the helter-skelter to the ArcelorMittal Orbit, all now much-admired tourist sights. People also know Stratford for the enormously popular Westfield Stratford City, where you can shop till you drop. What you may not know is that in addition to being East London’s main shopping, leisure, and cultural hub, we’re also a significant business location, second only to Canary Wharf. We have fabulous theatres and this country’s largest casino, a rooftop film club and the lovely Queen Elizabeth Park that features a state-of-the-art playground, boat tours and dozens of species of wildlife. We have an Olympic pool, the unique Children’s Story Centre and some of the best local pubs you’ll ever find. We were even featured in Batman Begins, as Abbey Mills Pumping Station was used as the filming location for the lunatic asylum. Not too shabby for what was once a small village close to the Roman road that linked London with Colchester. We went from farming to industrial works and now we’re a tourist destination in our own right. Now as well as some fantastic sights and landmarks, Stratford also has many diverse culinary options, not least in Westfield, which has tons of stylish restaurants and cute cafes to suit every pocket. 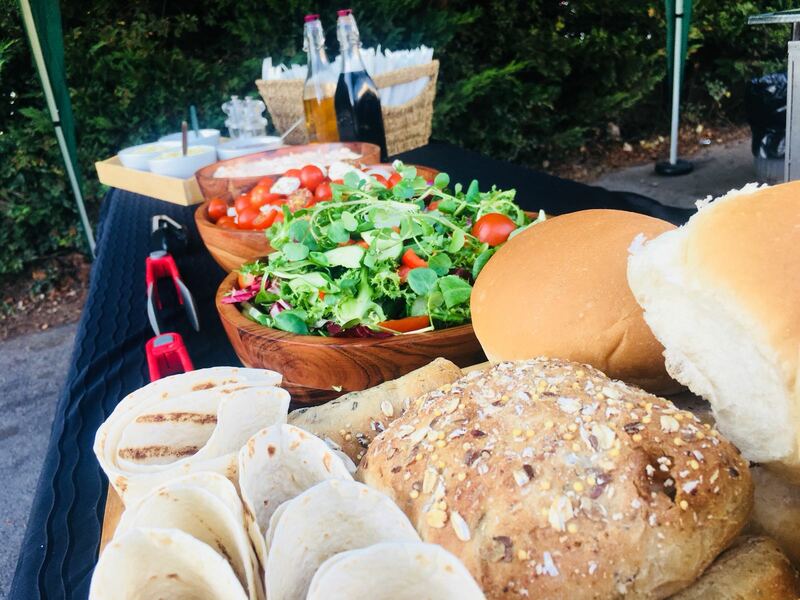 As caterers, we aim to suit every pocket too, as we offer a huge variety of options (and not just hog and spit roasts either) to suit every kind of budget. You may be planning on getting married in Stratford (did you know you can now get hitched at ArcelorMittal Orbit?!) and for the reception, we can provide anything from pigs in buns to meat, veg and potatoes smothered in gravy to a posh affair with champagne and truffles. 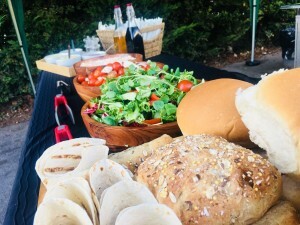 We can also make veggie and gluten-free options, cook you and your guests a huge barbecue or freshly prepare any other kind of food you may have set your heart on. From birthdays to christenings, hen nights to office parties, The Spitting Pig may surprise you just as much as Stratford can.